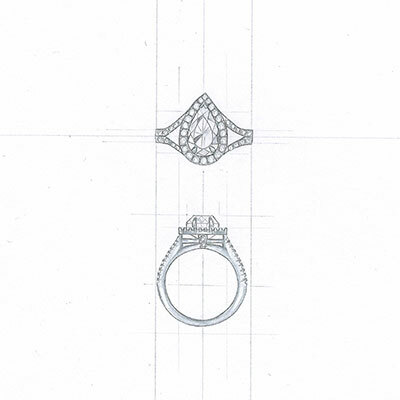 Pravins are proud to showcase our technical skill and design talent by offering a full bespoke jewellery manufacture service. We offer a range of customisation options, from simply sourcing a unique gemstone for one of our existing jewellery designs to the full design and manufacture of an individual one-off piece. 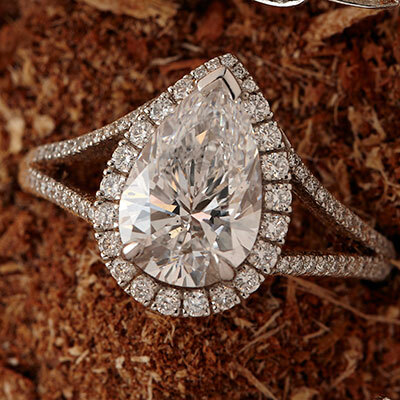 · Contact one of our boutiques and arrange an appointment to discuss your ideas and requirements. During this initial meeting you can view various stock pieces and we can make notes on your preferences. · Pravins will prepare a design brief and use this to create a specification and a design (either hand-drawings sketches or CAD rendering), for your approval. 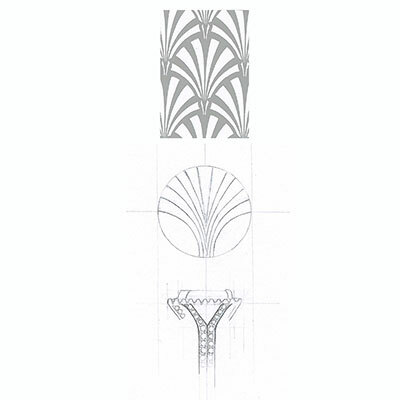 Once you have approved a final design, we will confirm the choice and verify any details such as dimensions and ring size. · The final stage is where our talented craftsmen get to work. The manufacturing process may involve the production of wax models, component casting, cleaning up and assembly, gemstone sourcing and selection and finally 'finishing'. This stage can take up to 12 weeks. Once complete the finished piece will be set to your local Pravins boutique along with a folder containing the initial sketches and detailed information about your brand new bespoke piece. To discover more about the Pravins Bespoke Creations service, please contact your local boutique or email admin@pravins.co.uk.